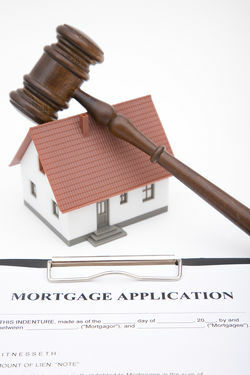 Just a few years ago the best deals in town by far were bank-owned and short sale properties. Fast forward to recent times – not so much. Discounts averaged some 30% previously – Today they are down to 12% and in some cases right at market. Why? 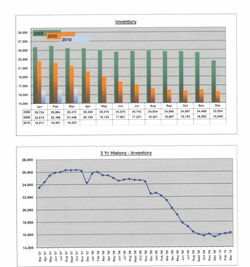 The inventory of bank owned and short sales have continued to decline along with the overall inventory. Thus, it has simply become supply and demand. In addition, many banks have begun to address and – most importantly – pay for replacing carpet, paint and fixtures. What was once a house stripped of many essentials or trashed beyond most buyers’ ability to see past – are now being rectified by bank-owners in order to move the property quickly and usually for more than the cost of the repairs. The decrease in inventory and the stepped-up efforts of banks to move properties quickly has created situations of multiple offers for a single property. So – how do you compete when making an offer on a house you really want? First, cash is still king. Cash offers still tend to get the most attention. If you can swing a cash offer - and then perhaps finance later, you should consider it. However, if you are like most of us who will need financing keep in mind that financing offers will vary in degree of strength. The larger the down payment – the stronger the offer and the more likely it will rise to the top of the heap. Providing both a prequalification letter from your lender AND proof – like an online bank statement (with the account number removed) - that you have the down payment should be included with your offer. Next – be in the ballpark on price. Your agent should be able to give you comparable sales in the area and an idea of what the house is really worth. The bank-owner is going to have done the same thing prior to putting it up for sale and a short sale lender will do this as part of the approval process. Keep in mind lowball offers rarely win in a multiple bid situation – and – is it really a “deal” if you don’t get the house at all? You should put your best offer in first because you can’t always count on getting another chance. A reality check is to figure out what you are really saving. $5,000 at today’s low rates on a 30 year fixed mortgage will increase your payment by about $24 a month – less than the cost of a single dinner out. One final “price sanity check” on your offer is to think about the highest you’d be willing to offer. Would you regret losing the house if you put in your lower offer only to find out your highest offer would have gotten you that house? If you are looking to buy a home or sell your home – PLEASE CONTACT US! To search for homes in the Lake Mary Heathrow Sanford Longwood Florida area click here .